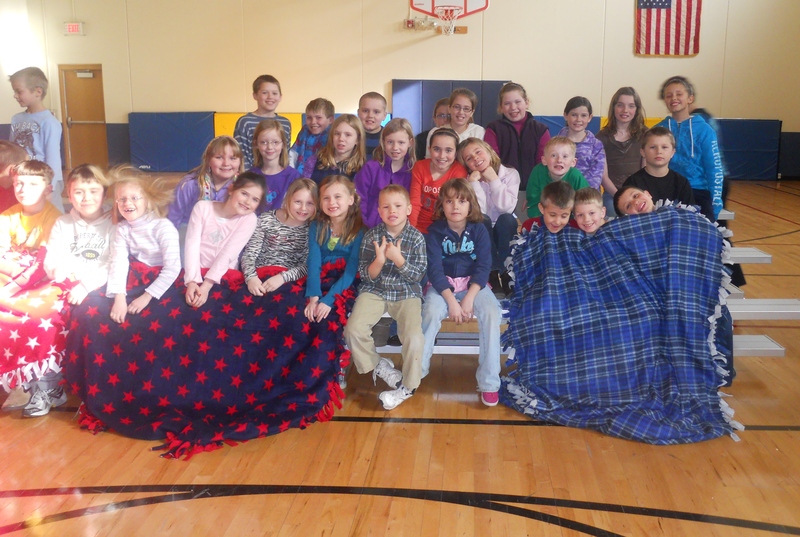 We want to say THANK YOU to the 29 youth members from the Maple Grove Countryside 4-H club, in Pulaski, for making tied blankets for the American Red Cross. Our Red Cross workers hand-out these blankets to children and adults who have been impacted by a disaster. 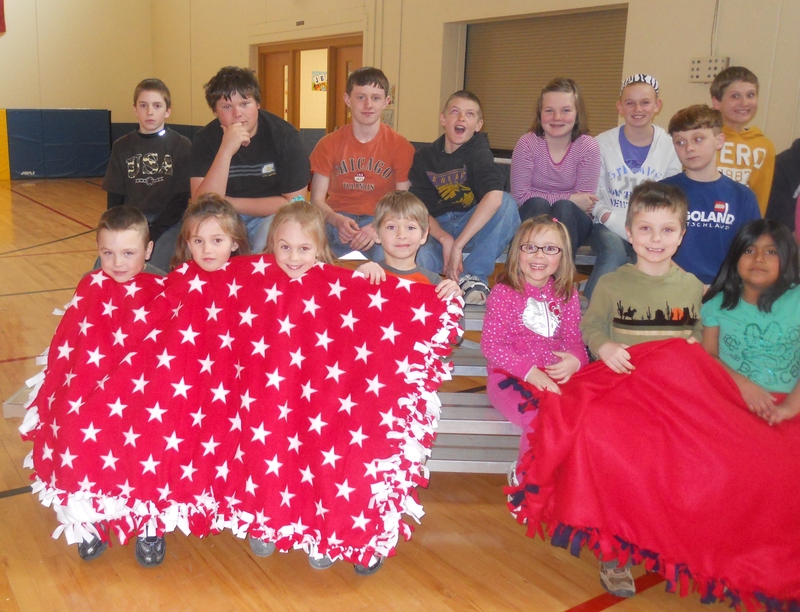 These blankets provide more than just warmth, they provide comfort and hope to our clients! 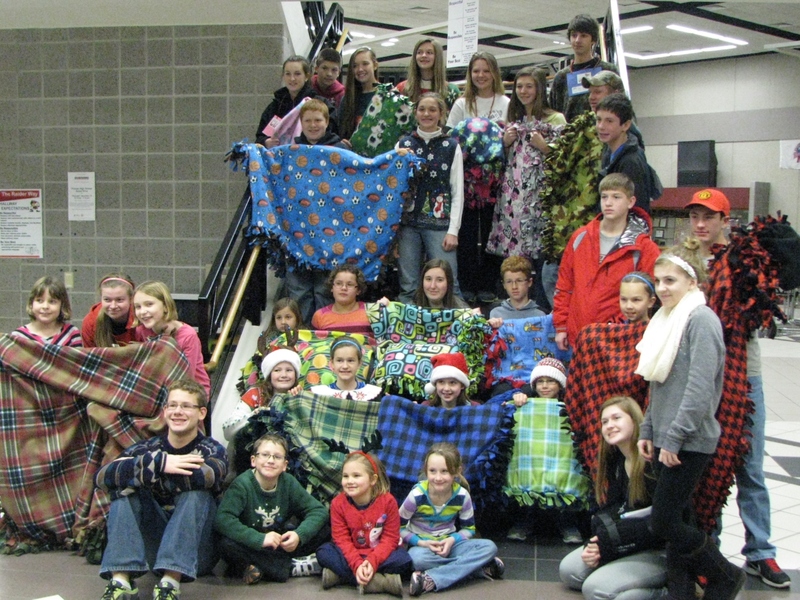 Girl Scout blanket donation: Girl Scouts with Troop 4202 in Green Bay donated tie-blankets to the American Red Cross in Green Bay Saturday for distribution to people in need, like fire victims. Girl Scouts Troop 4202 members were on hand at Green Bay Fire Department Station 3 on Saturday to donated blankets to the American Red Cross. The blankets are intended for distribution to people in need, such as people who have been displaced from their homes by fires. 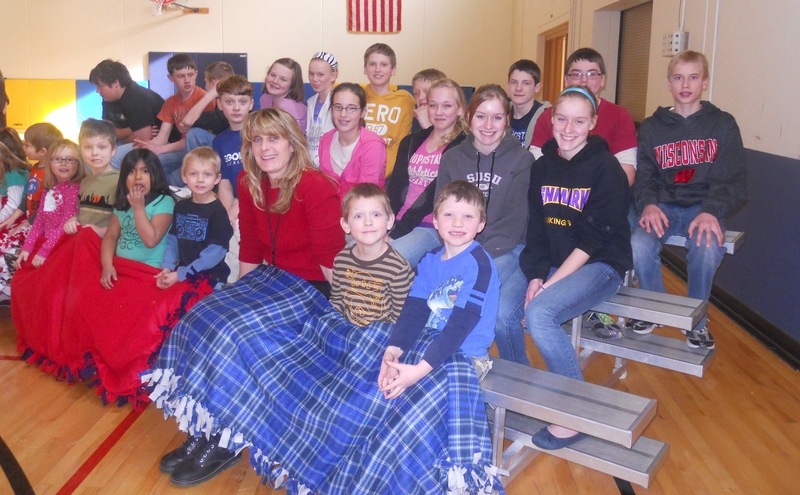 Students from All Saints School in Denmark, WI are helping the Red Cross bring comfort to families. 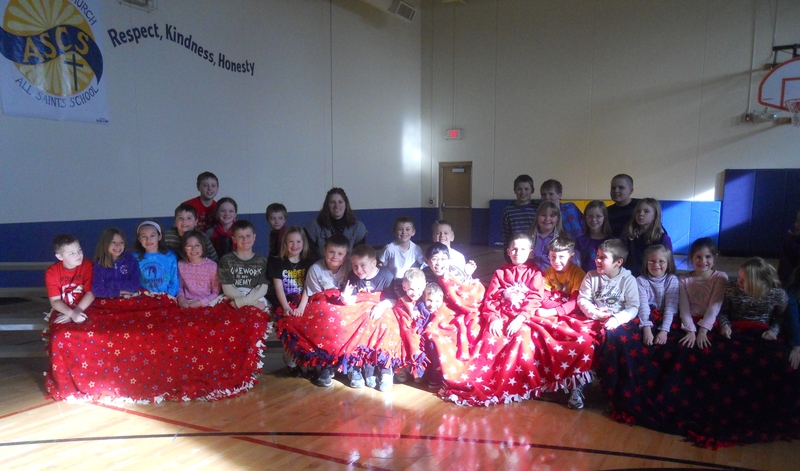 Eighty students (K-8th grade) made eight tie blankets and presented them to Red Cross representative, Jody Weyers, at an all school assembly. The blankets will be giving out to families who are impacted by disasters in our community area.